“There is another side of Egypt that is not so widely known. Egypt is also the land of secrets. Another history, a secret history, tells of Egypt as the inheritor of deep wisdom and magical ability from an even earlier culture. It is the account of the Egyptians themselves. This alternate history is echoed by parallel accounts from the myth and history of other ancient cultures, as well as myriad secret societies and occult sources. The remarkable number of parallels in these stories provides a unique window into this other Egypt. “Pema Chödrön is one of the most prominent Buddhist teachers in the West today and a leading exponent of meditation and how it applies to everyday life. She is resident teacher at Gampo Abbey monastery in Cape Breton, Nova Scotia. Her bestselling books include When Things Fall Apart, The Places That Scare You, and Taking the Leap. “The essence of bravery is being without self deception. However, it’s not so easy to take a straight look at what we do. Seeing ourselves clearly is initially uncomfortable and embarrassing. As we train in clarity and steadfastness, we see things we’d prefer to deny — judgmentalness, pettiness, arrogance. These are not sins but temporary and workable habits of mind. The more we get to know them, the more they lose their power. This is how we come to trust that our basic nature is utterly simple, free of struggle between good and bad. 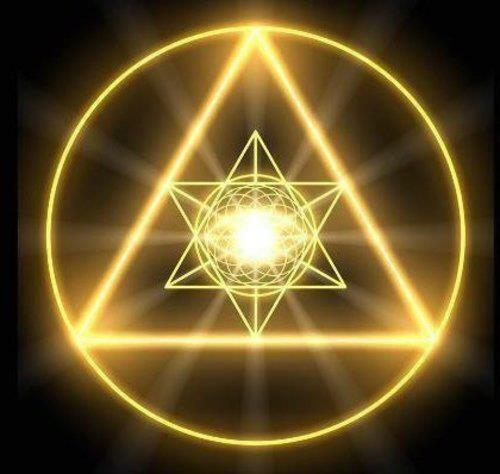 “As you enter the world of Sacred Geometry you begin to see, as never before, the wonderfully patterned beauty of Creation.